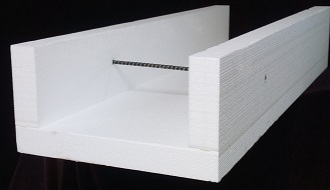 We custom make foam forms used for slab on grade shallow footings frost protection. 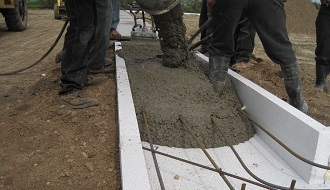 Our FrostStop Footing Form has many benefits, it is fast and easy to assemble, it eliminates all the normal concrete formwork construction and removal activities resulting in less earthwork and less labor costs. For slab on grade the FrostStop Footing Form provides a highly insulated footing resulting in a more energy efficient building. Research has proven that the normal ground temperature is at about 50°F. Frost will always freeze down, if the ground is insulated on top it can not freeze below. The FrostStop Footing Form gives you that thermal break and eliminates frozen heaving soil. We also offer special 2D cuts to your satisfaction.